CAD modeling is the act of creating precise and detailed technical drawings of products or objects using CAD software programs. It’s a design process using which drafters transform any conceptual ideas and paper sketches into electronic drawings ready for manufacturing. It is used by engineers, designers, and architects to create prototypes for studying functionality, as well deciding on the aesthetic look of mechanical components and objects for different industries. One of the major contribution CAD modeling has done for product designing is the feasibility of creating prototypes. It helps in fixing errors in product designs and saves lots of time and money before creating the final product. Prototyping also helps engineers in tweaking certain parts of the product rather than changing the entire design. This is possible in 3D modeling and not in 2D layout. 3D modeling has completely eliminated the need to guess on how the product would function, and helped in taking concrete decisions. Ideas can come to any minds, but not all of them are capable of transforming them into a digital format. That’s where engineering and drafting skills come to the picture. With 3D CAD modeling service, you can view the design from 360° angle and take faster decisions. In-depth technical illustrations in 3D models help in visualizing products in a better and easy way. Not all mechanical or architectural designs are perfect at first attempt. They need some changes before the creation of final products. 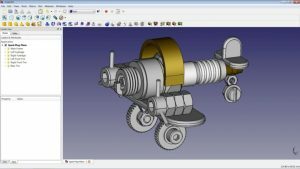 3D CAD modeling helps in incorporating changes in the product designs. The change implemented in the design is also reflected in the prototype. One of the greatest advantages of CAD modeling in 3D is the automatic creation of Bill of Materials. Whether the project design is for creating a pin or a rocket, CAD modeling has refined engineering, manufacturing, and architecture industries. CAD modeling facilitates product designing. 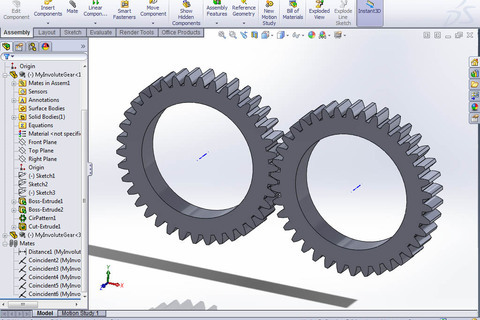 Whether you need to modify an existing mechanical component or add some minor or major changes, CAD drafters can work on those specific areas while maintaining other attributes of the model. This mean, incorporating new features and simulating the existing design of the model without adding to the cost can be done with CAD modeling. CAD modeling is the best solution for industrial, commercial, and architectural product design and engineering. If you are brimming with a product idea, but couldn’t convert it into a prototype, contact Zeal CAD, a leading 2D and 3D CAD modeling service provider in Australia.